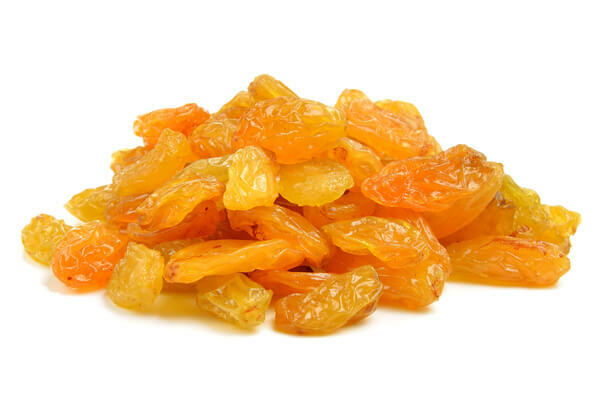 Sultana Raisins considered nature’s healthy dried fruits contains of Vitamins B1, B2 and various minerals. Sultanas are a good source of energy and very beneficial to a person’s health. In fact, there are nearly hundred new cases of distinct cancers are prevalence in the world and sultana raisins would be a powerful weapon upon them. The polyphenol antioxidant in the sultana raisins provides a protection against the developments of tumors specifically colon cancer. According to the nutrition information, 100g of sultana raisins provides 292 calories of energy, 2.7 g of protein and 69.4 g carbohydrates which could securement your daily-required levels of energy to work.